Start sleeping better with Fitbit®. Unlock the mystery of sleep with sleep tracking, insights and other innovations. Sleep affects every part of life—your health, your mood and more. It can help you perform at your best, stay productive, and fight weight gain and depression. 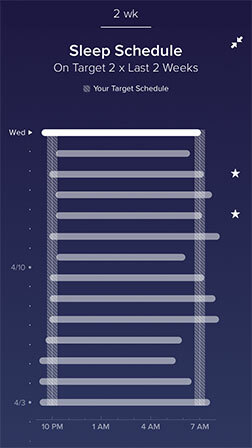 So if you’re ready to make the most of your day, start by improving your night. Catch your zzzs & wake with calm. Knowing how much you sleep can help you make better choices. Wear a Fitbit tracker at night to automatically record your sleep, then review sleep duration and more in the Fitbit app. See how well you sleep. Each night, the body cycles through different sleep stages: light sleep, deep sleep and REM. Using the power of PurePulse® heart rate and sensitive motion detectors, Fitbit trackers can measure your time spent in each sleep stage, as well as your time awake. This makes it easy for you to understand your sleep quality and learn whether you spent enough time in each sleep stage. Being awake for brief periods—between 10-30 times—is a normal part of sleep. Light sleep usually makes up half your night and is good for memory and learning. Deep sleep is important for the immune system and for physical recovery from workouts. REM typically occurs when you’re coming out of deep sleep and helps with mental restoration. Create a better routine to get the best rest. Research shows that keeping a consistent bedtime and wake time leads to better sleep quality. 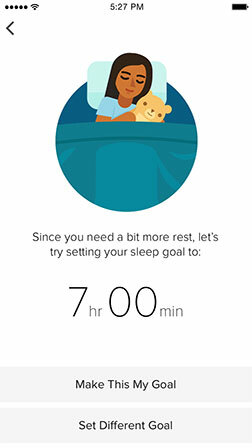 The Fitbit app helps you stay on track by recommending a personalized sleep schedule based on your sleep goal, recent trends and your wake-up target. 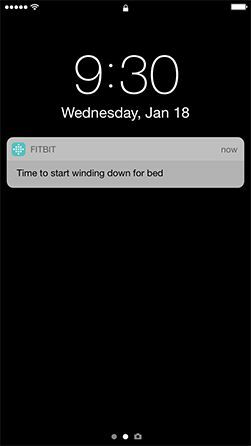 You can also get friendly bedtime reminders that notify you when it’s time to turn in for the night. Shed more light on your night. 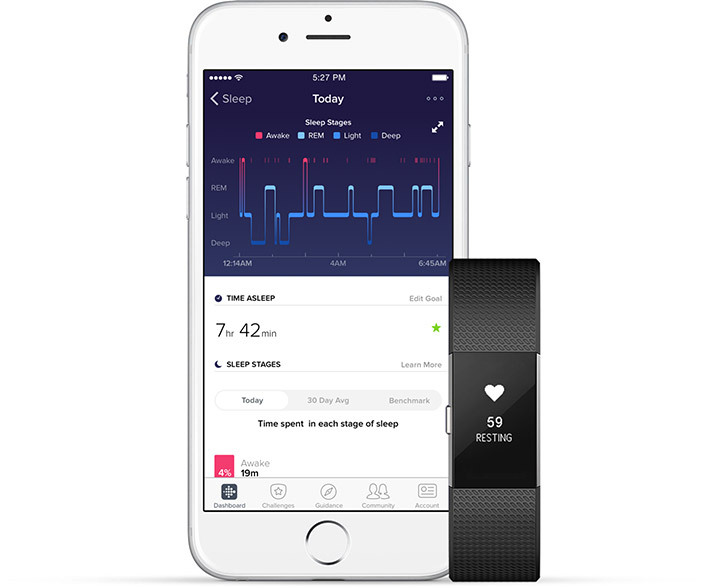 With one of the world’s largest sleep databases, Fitbit can help you learn more about your sleep stats and how your trends compare to those of the same age and gender. Plus, see relevant tips for improving your sleep quality and your nightly routine. Go behind the scenes of Fitbit’s sleep tracking technology.